Many of you may have had the privilege to have met Martin, either through music or at his local music shop in town. 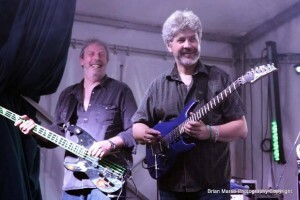 He was a big figure in the local music scene, and a great supporter of our Festival. Last year Martin passed away, and left a big hole in people’s hearts, but also the heart of the Ashford live music scene. This year the Festival decided to extend it’s weekend to the Friday night, and we have named the stage after Martin Judd in his memory. 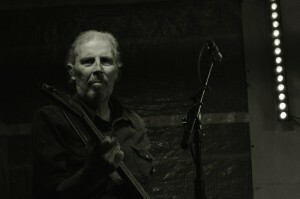 The stage will be played upon by his band Legacy, Joe Greens Blues Explosion and headliners Slam Cartel. I called upon Sophie, a close friend of Martin to put a few words together for me to let you, the audience know how important this evening will be for us and many others who knew Martin. Thank you to Martin’s partner Jane who shared the photo’s of Big Mart doing what he did best…..
Martin Judd was a founder member of Live n Kickin’ and Legacy and was a regular on the Kentish music scene. Martin also owned the longest running music shop in Ashford town centre – a mecca for musicians, friends, and coffee lovers who would meet there regularly to catch up with Mart and trade all sorts of stories and to hear his impartial advice. 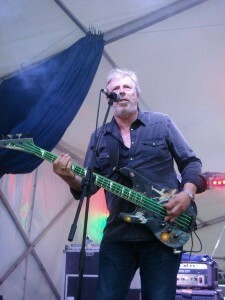 Known for his big stature, matching personality and wicked, dry sense of humour, along with his custom made Jackson ‘Star War’s bass guitar, complete with neon green strings that glowed in the dark, ‘Big Mart’ was a very well known and loved character on the local music scene for many years. In 2013 Martin was diagnosed with an aggressive form of cancer. Martin fought his cancer gallantly, enduring an unbelievable fight along the way but sadly lost his battle on 24th October, 2015. Martin was an inspiration to friends, family, fellow musicians and anyone who read about his story as he continued to regularly gig, despite the pain and discomfort he was suffering. He even managed to achieve his wish of completing three gigs in one weekend, just a few weeks before he passed away. The Ashford Festival was a very special place for Martin as he loved being on his home turf, playing with and in front of so many of his good friends and fellow musicians. 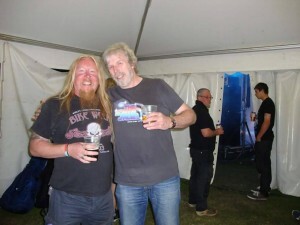 He felt it was the very heart of the east Kent music scene and loved the energy and warm welcome he got from the crowd on the occasions he was lucky enough to be on stage there. 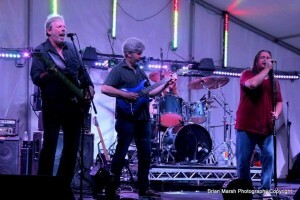 Martin was deeply honoured to introduce his latest band Legacy to the public by playing their first set at the Ashford Music Festival in 2014. The band was thrilled with the reception they received and were over the moon to be invited back the following year. Now in 2016, we honour Martin in the best way we know how and with an accolade that he would be so proud of by launching The Martin Judd Stage. Throughout his life and battle with cancer, Martin was adamant that music would remain at the forefront of everything he did. He instilled in each of our hearts the message that the show must go on! We honour that statement and we honour our local legend Big Mart.